Remote management of electrical devices is an increasingly widespread requirement inresidential and commercial sector. 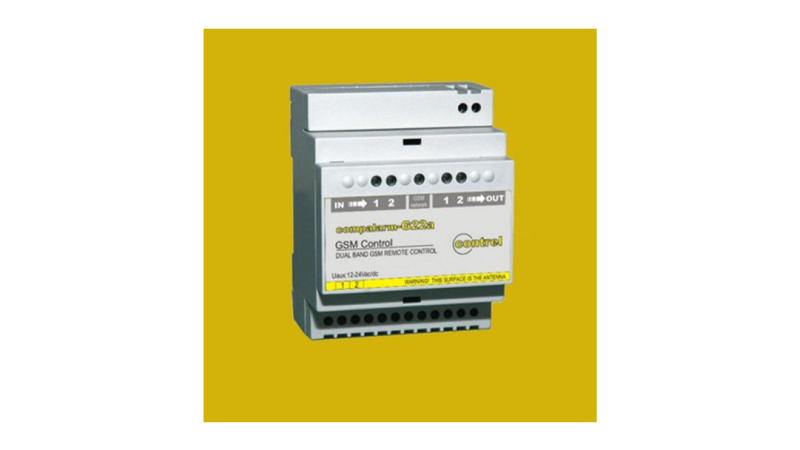 At the same time, remote control and command of loads are essential functions in many industrial processes, in particular unsupervised ones.New COMPALARM G, GSM modules, meet any installation requirements in all application environments, ensuring the remote monitoring of inputs and outputs via mobile phones.Specifically, the G-22 version consists of a control module with two outputs and two inputs for residential, commercial and industrial installations, while the G-81 alarm module, with eight inputs and one output, is suitable for monitoring alarms and status in commercial and industrial systems. Information about the status of inputs and outputs is transmitted via SMS, free phone call rings or by sending a fax or an e-mail, depending on the device settings.